Grapes are a beautiful and flavorful addition to a Thanksgiving turkey – whether they are dècor, included in the stuffing or served as a side. 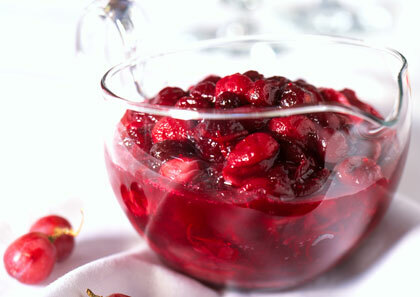 Here are three stuffing recipes, a unique cranberry grape relish and tips on decorating the turkey to ensure turkey time is tasty time. 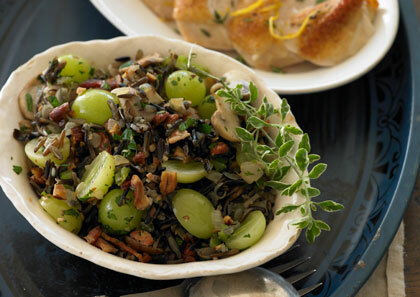 Hazelnuts, bacon and of course, grapes, make this wild rice stuffing an exceptional choice for the Thanksgiving celebration. 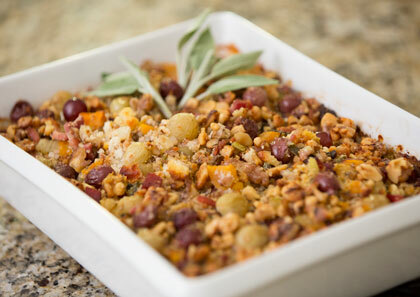 Created by Sarah-Jane Bedwell, RD, LDN, this recipe will smell as wonderful as it will taste with fresh sage and butternut squash lending their flavors to this delicious stuffing. Click here for the recipe. 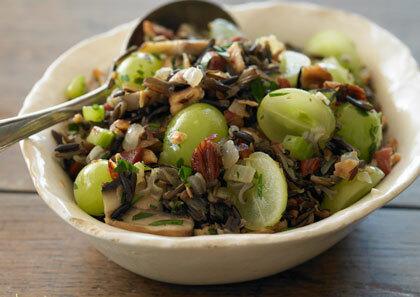 A simpler take on the wild rice stuffing above, this recipe allows the grapes to take center stage with support from onion, celery and apple. Incredibly simple to make, this relish combines the tartness of cranberries and sweetness of grapes into a delightful relish that perfectly accompanies turkey. Accent a beautiful turkey with beautiful grapes for friends and family to admire…before it’s all gobbled up! 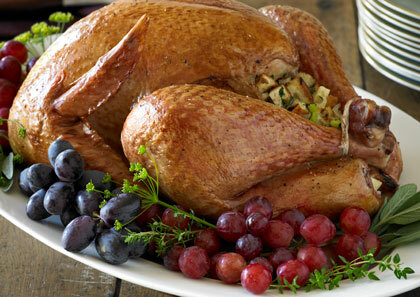 After placing the cooked turkey on a large platter, decorate with a variety of fresh herbs and small bunches of grapes. The dècor will be a delicious sweet treat once served.